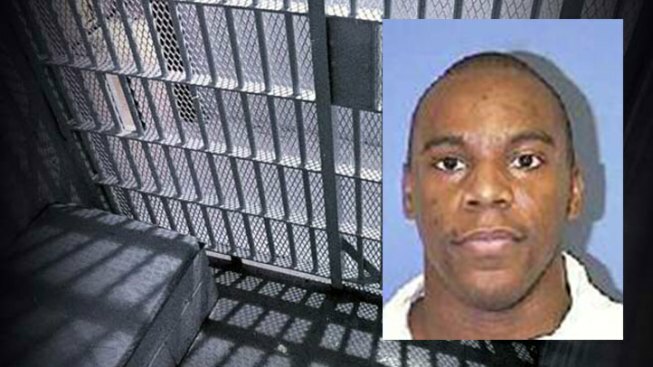 A federal appeals court has refused an appeal from 40-year-old Alvin Braziel (inset) on death row for fatally shooting a Dallas man who was walking with his newlywed wife on a jogging trail at a community college just outside Dallas. A federal appeals court has refused an appeal from a 40-year-old man on death row for fatally shooting a Dallas man who was walking with his newlywed wife on a jogging trail at a community college just outside Dallas. The 5th U.S. Circuit Court of Appeals on Monday denied Alvin Braziel's arguments that his attorneys were deficient for not presenting sufficient mitigating evidence during the punishment phase of his 2001 murder trial in Dallas. Braziel was condemned for a 1993 failed robbery attempt where 27-year-old Douglas White was shot dead. White's wife of 11 days was raped during the attack on the trail that circled Eastfield College in Mesquite. DNA tests while Braziel was serving a five-year prison term for sexual assault of a child linked him to the slaying.